Dear bro wat_samngam you are absolutely welcome. 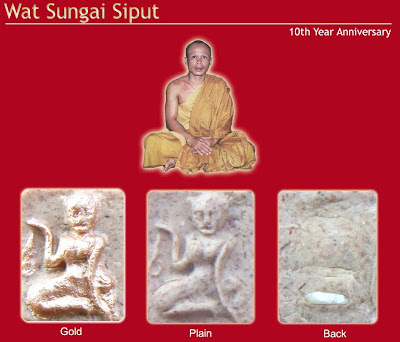 For more info of Wat Sungai Siput please visit its official blog at http://archantia.info and dont forget to check under "Contact" page on how to reach there. May god bless you well, sadhu, sadhu, sadhu! Update: Nam Kwak & Somdej is available 1 week before & on phapa & after phapa while stock last. Archan Tia said if possible please reach the Wat early, like 8:30am or 9am. Whole day during Phapa can rent the amulets on special counter that setup temporary to serve the order processing as well as cash-n-carry. The nam kwak possession activity will be scheduled around 2-4pm after the Phapa Ritual. For those who cannot attend you may order it online with the help of representative, for more info please kindly read from the begining of this thread. Also thanks for those who did plain donation. Receipt is available on request, signed by Archan Tia, the receipt can be used to claim the tax (under donation) on your yearly's tax declaration. Archan Tia once said, no matter you helped on which Wat, regardless the popularity of that Wat, be it famous or infamous Wat, doesnt matter if the abbot is famous/powerful or not, the merits earned is still the SAME. He said when you did your help, the local god "土地公" and devas will notice it, appreciate it and also help you back, but it has to depend on your own's karma, some received the goodies returned very quickly but some's payback appear to be insignificant, this doesnt mean your got no merit in return but it means your bad karma is to slowly removed first before something good happen on you. Old chinese saying, "they are god on 3 meter above our head", no matter what you did, good or bad, they wont go unnoticed. Sadhu to all my friends, lets together work hard to improve our own personality and to help the other. Thank you once again for your continuously support with the development of Wat Sungai Siput. Thanks for those who visited Wat Sungai Siput personally and also thanks for those who helped by ordering and donating online at http://order.archantia.info. I especially want to thanks all the admin of this forum, you guys are simply amazing by allowing me to open this thread for urging the support of Wat Sungai Siput's Ubosot develoment. Sadhu to all of you my friends. Thank you so very much for your contribution! Update: For those who order Nam Kwak & Somdej, your order has been submitted by representative "heavenlzh" on 10 Jul 2010, that was his second hand up. 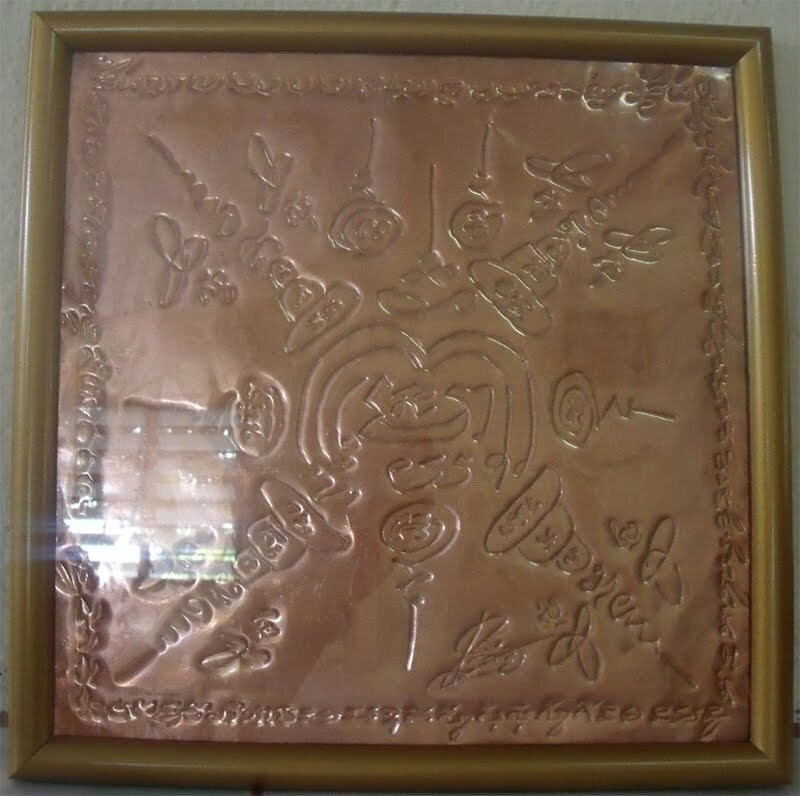 For nam kwak & somdej the stock has been reserved for you, once Archan Tia finished chanting and its about close to "Phapa Event" on 8/31, the representative will collect the amulet and send out to you using the postal method of your choice. Archan Tia per day spent many times to meditate and chant the amulet, each katha will chant 108 times. The nam kwak test possession video is about to release, please check the blog or forum frequently to get lastest update. 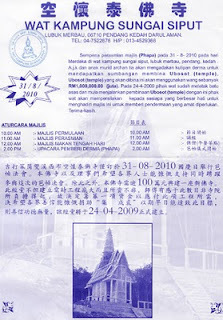 For those who order other scared item from Wat Sungai Siput such as Tiger Skin Takrut, pitta and etc at http://catalog.archantia.info, your item has been sent out on 12 Jul 2010 and you should have received it by now except for singaporean devotee it need to take about 1 week for normal postal. Archan Tia once said, no matter you helped on which Wat, regardless the popularity of that Wat, be it famous or infamous Wat, doesnt matter if the abbot is famous/powerful or not, the merits earned is still the SAME. He said when you did your help, the local god "土地公" and devas will notice it, appreciate it and also help you back, but it has to depend on your own's karma, some received the goodies returned very quickly but some's payback appear to be insignificant, this doesnt mean your got no merit in return but it means your bad karma is to slowly removed first before something good happen on you. Old chinese saying, "they are god on 3 meter above our head", no matter what you did, good or bad, they wont go unnoticed. Sadhu to all my friends, lets together work hard to improve our own personality and to help the other. Also thanks to those who did temple envelope donation, your contribution is highly appreciated. Thank you so very much for your help, thanks to all malaysian & singaporean and overseas devotee, you have made contribution to the Wat development. If possible please attend the 8/31 Phapa events, lets together we join up and meet in Wat Sungai Siput, under the roof of Wat Sungai Siput we are all in 1 family. For those who are currently using Archan Tia's sacred items please share your experience with everyone here, we look forward to hear from you. Sadhu, sadhu, sadhu! we must thank you bros for all the help you given to those who cant go all the way to the temple. a big thank you to all. You are absolutely welcome autumnspecial, hope you like the Archan Tia's sacred items and find it useful. Please do not hesitate to let us know again if you need further constribution. Also please share if there are any great experiences after applying Archan Tia's sacred items. God bless you all, sadhu! i have been wearing Ac Tia tiger fur Takurt till now nothing happen to me yet .so i would say is good .. thanks. that very good bro... i was thinking is there any amulet made by Ac for ready good in metta.i was thinking of get one for my wife beside wearing the tiger fur takurt.